Emirates, a global connector of people, places and economies today announced four new weekly flights between Dubai and Phuket to commence on 1 December 2015. 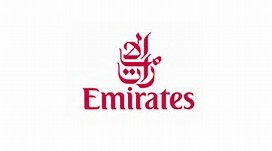 Adding a capacity increase of 57 percent the four new flights will introduce connectivity from most cities in the Americas for the first time as well as improve connections to a number of destinations in Europe and the Middle East where Emirates currently flies from more than 50 cities. “Since the launch in 2012 Phuket has been a solid success story. The fact that we are now adding a further four weekly flights highlights not only the desirability of the destination but also the demand for passengers wishing to travel with Emirates,” said Thierry Antinori, Emirates’ Executive Vice President and Chief Commercial Officer. Emirates’ increase in flights to Phuket closely follows the announcement of the airline’s codeshare agreement with Bangkok Airways, which has added 14 new destinations to the Emirates network. Together with this codeshare agreement and the increased capacity to Phuket, Emirates’ customers now have even greater flexibility when planning their travel throughout South East Asia. Throughout all cabin classes, passengers can enjoy more than 2,000 channels of entertainment on demand on ice, the airline’s award-winning in-flight entertainment system. Emirates customers also have the added bonus of a generous baggage allowance with 30 kilograms for those travelling in Economy Class, 40 kilograms for Business Class and 50 kilograms for First Class. EK396 will depart Dubai International Airport at 2255hrs and arrive at Phuket International Airport at 0800hrs the following day. The return flight, EK397 will depart Phuket at 0930hrs and arrives in Dubai the same day at 1320hrs. Emirates has 42 weekly flights to Bangkok and currently has seven weekly flights to Phuket.